The man who testified that he drove April Kauffman’s killer to the murder scene and waited to hear she was dead was sentenced to four years in prison Friday. Joseph Mulholland, 53, was the first to plead guilty in the deadly drug ring run by Dr. James Kauffman. 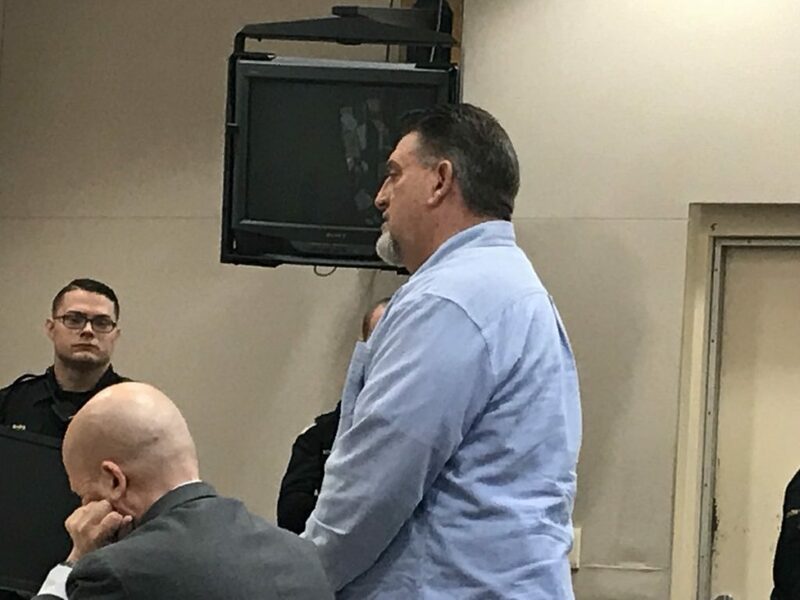 While he was never charged in the fatal shooting of April Kauffman in her Linwood home May 10, 2012, Mulholland testified to his part at the trial of the man now-convicted in the murder plan. He is a much different person than the one who waited to hear from Frank Mulholland that the veterans advocate was dead, according to nearly a dozen friends who spoke on his behalf Friday. Most, like Mulholland, are in recovery. Chief Assistant Prosecutor Seth Levy pointed out that Mulholland “drove the assassin” to Kauffman’s home. But he also said that Mulholland was cooperative throughout the case, and was impressed by the support in court Friday. The face of a man in recovery helping others is much different than the man who helped a killer, noted Judge Bernard DeLury, who has handled the case since the beginning. “I have to balance these two faces,” he said. Defense attorney Ed Weinstock argued for a suspended sentence. But nothing could overcome the need for some prison time, DeLury said. Instead, he sentenced Mulholland within the three- to five-year range of a third-degree crime, even though his plea was to second-degree racketeering, which carries five to 10 years in prison. Bonnie Kennedy, Mulholland’s girlfriend of five years, said she didn’t know about his connection to the crime until the knock on their door when he was charged. “He’s just glad it’s over,” she said outside the courtroom after sentencing. Kennedy also said she expected he would get prison time. Mulholland is the first of the drug ring defendants who pleaded to get prison time. But he won’t be the only one. Glenn Seeler, who also pleaded to second-degree racketeering, is expected to get about three years in prison when he is sentenced Feb. 19. The North Carolina man was in court Thursday for sentencing, but was not prepared to get prison time. As a result, attorney Tim Reilly asked for an adjournment so that Seeler can get his affairs in order.